December is close, and that means that everybody is in the spirit to listen to Christmas music, decorate their tree and run a 5k. This year’s annual 5k run is a Jingle Bell run. The run will take place on December 1st from 8:00 to 11:00 am in the area behind the high school. The Santa Breakfast also takes place that morning at the time as the run, 8:00 – 11:00 am. 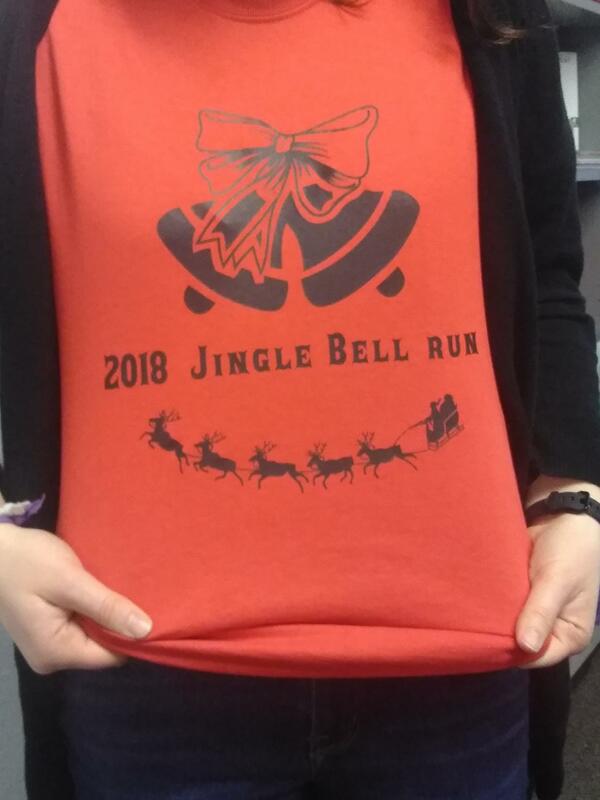 The Jingle Bell Run is a fundraiser for the sophomore class. The advisor for this event is Mrs. Schludecker, who planned the location and chose the date. She says the event is different this year for a few reasons. “For previous years, the sophomore run was a color run, but this year, we wanted to change it up a little bit and switch the time that it falls on the schedule,” she said. In addition to the run, there is a Breakfast with Santa as well. If you signed up to run the Jingle Bell race, you get half off of your breakfast! The little kids can participate in activities, as well as take a picture with Santa. The sophomores and the freshman teamed up for this fundraiser. The sophomores are hosting the run, but the freshmen are hosting the Breakfast with Santa. According to Mrs. Schludecker, the two events fell on the same day as a coincidence. Mrs. Loy and Mrs. Schludecker thought of similar ideas and thought that it would be fun to connect them and hold them at the same time and place.